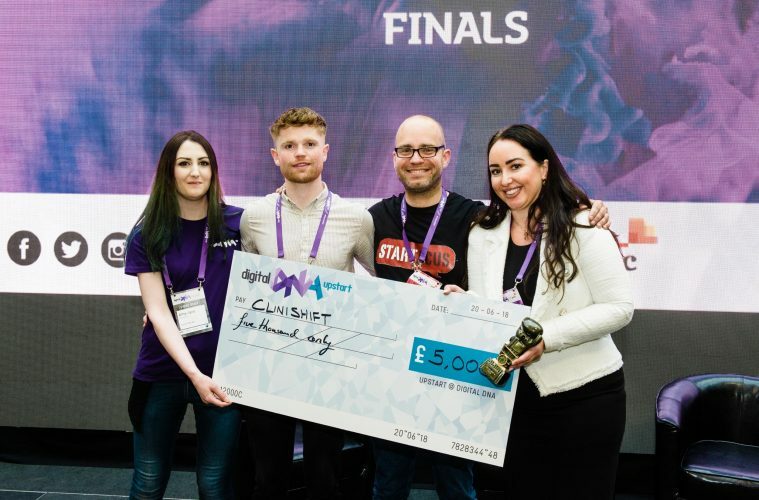 : From left: Amy Jane Langtry, Creative Lead at Digital DNA; Runner-up of upSTART Scott Martin, founder of AiPatient; Alastair Cameron, co-founder of competition organiser Startacus; upSTART winner Amiee Madden picking up her £5,000 prize for her company Clinishift at Digital DNA 2018. “As the 2017 Digital DNA Digital Company of the Year, we were determined to give back to the industry and help nurture the startup community not only by sitting on the judging panel but by providing specialist mentoring to the winner. Previous ArticleWhy are electric cars all the rage?